NEW Custom Order System. Site Update. Go Custom From Anywhere On The Site. Wherever you are on drewsifdesigns.com you will be able to go custom. Pay for your graphics after you review them not before. 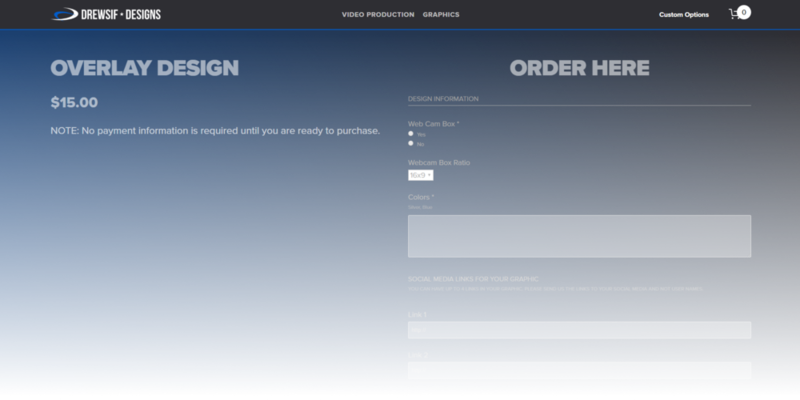 New page design for custom order forms. Hover over the graphics to see the price.